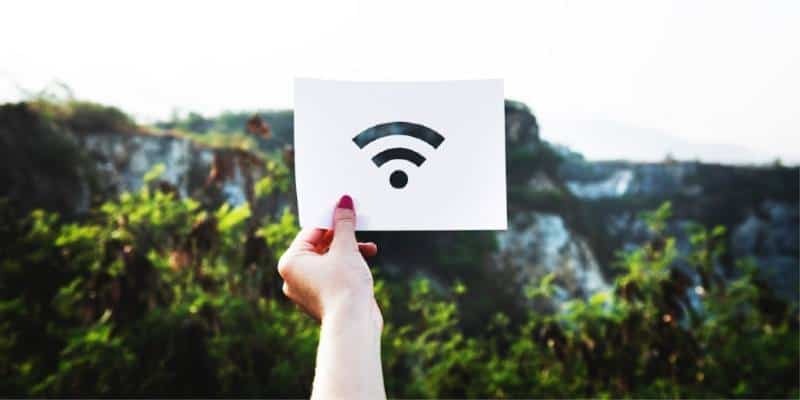 A lot of people use WiFi networks in their homes these days as it is a very convenient way for different devices to connect to the internet. It’s no secret that WiFi is essential for most of us and the demand for it continues to increase. This has led to essential wireless network developments such as signal strength, speed, and security. But sometimes our home or office can have extra thick walls or even dead spots where the WiFi signal cannot penetrate. I don’t know how many times a friend has called, being upset that he or she can’t watch YouTube in their bed. The quick and easy solution is to get a range extender. What is a WiFi Range Extender? A WiFi extender will basically boost your wireless signal so that you can get the coverage that you need where the wireless signal was weak without one. As well as WiFi range extenders, there are also devices called WiFi boosters and powerline adapters. They are all designed to extend the range of your WiFi signal or help you increase your network in some way or another. WiFi range extenders are also often called range expander and they are both the same thing. A WiFi extender is essentially a repeater which will expand the range of your current network. Normally, you place a range extender between a wireless router and an area of your home or office that cannot receive a strong enough wireless signal. How Does a Range Extender Work? A WiFi extender will repeat your existing wireless signal. Most WiFi extenders work the same way. You plug them into a standard electric outlet and they will get to work. Range extenders come with two antennas, where one of them will receive the WiFi signal from the router while the other one will repeat the signal, thus extending it further than the router can reach. By capturing the original wireless signal and repeating it you will get a much stronger signal in those places where the signal was previously weak. 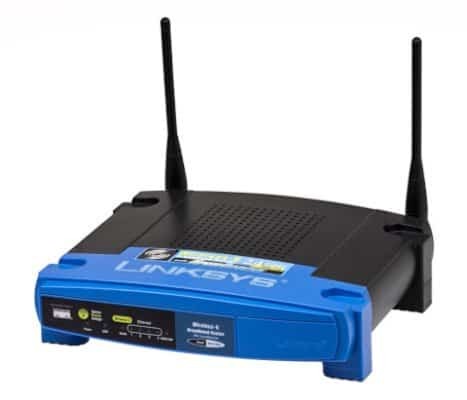 There is no hassle with extra passwords or that devices lose connection when they connect from the router to the extender since it’s still the same network. Do Range Extenders Reduce Network Speed? The short answer is yes. The only time you get full speed is if you are close to the main router. Anything that repeats or boosts the signal will slow you down a bit. When it comes to range extenders, this cut could be quite big. The reason for this is because a WiFi extender effectively splits its bandwidth between its interaction with the wireless router and the signal it repeats to the areas that had a poor signal before. So, you will only receive a 50% maximum bandwidth in the extended areas. It’s all about the speed! When I purchased my first WiFi extender, I went cheap and thus, it was far less powerful than my wireless router when it came to speed. This is another factor that will increase the latency problem for extended signals. So, if you are going to purchase a WiFi extender go for one that closely matches the specifications of your wireless router. So instead of saving money, I had to spend more money to get a new extender. 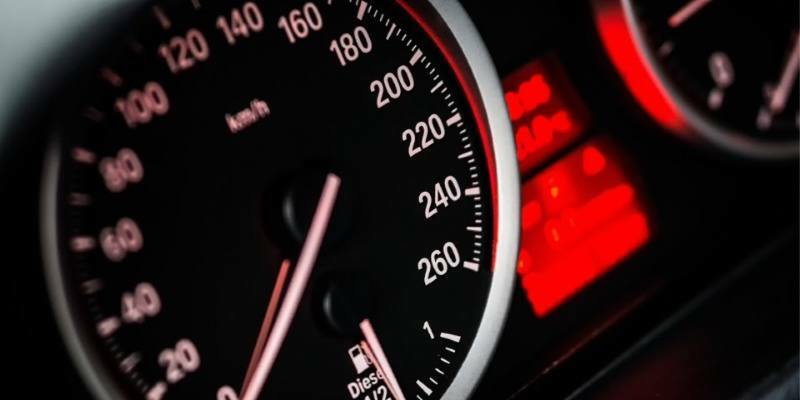 The speed will also be impacted by the place of the range extender. The optimal place for a range extender is in the middle of the router and the device or room that it should serve. If you place it to close to the router, the extender will have little to no effect while placing it too far away, it will have a hard time reaching the router. Another thing that you may want to think about when finding a place for the range extender is that it works best if it’s in the line of sight of the router. This is not always possible of course. You will probably need to experiment to find the best location for your WiFi extender for the best all-around performance. Can You Get a Better Wireless Network? Yes, you can. This is the thing with range extenders, to grow and improve your wireless network so that your whole house is covered. At the same time, no it will not. Your speed will be reduced, and the reliability of the wireless network will be impacted. On the other hand, if you have a room with no WiFi at all, these disadvantages may be better to have than no WiFi at all, so then we are back to a yes again. So, if you prefer to have a slower WiFi than no WiFi at all, there are some steps you can take to increase your chances of being happy with a range extender. For this, you will need to understand the frequencies of a wireless network. A wireless network is transmitting signals in two different frequencies, 2.4GHz, and 5GHz. If you have a really old router, you may only have 2.4GHz but if you have purchased a router during the last 5 years, you will have both. If you have a very old router, it might be time for a new one. The technology has evolved much the last few years. As you might expect a 5 GHz frequency can transmit more data than a 2.4 GHz frequency so, in theory, it will be faster. With the latest 802.11n and 802.11ac standards, you will definitely experience better data rates. Some devices used in your home will consume or generate more data than others, so if you have gaming consoles or units for video streaming then 5 GHz is best. But one thing that you must be aware of with the 5 GHz frequency is that the range is shorter than that of a 2.4 GHz signal. In fact, a 2.4 GHz signal can extend significantly further than a 5 GHz signal. A 2.4 GHz signal will be better at penetrating solid walls as well, so you need to consider this as well. A good thing about the 5 GHz frequency is that it is a lot less likely to suffer from interference than a 2.4 GHz signal is. This is because a lot of other products use the 2.4 GHz frequency such as automatic garage doors and cordless telephones. If you are running a 2,4 GHz network and there is interference, then this can result in a reduction of speed. To get a better network with range extenders, I’ll suggest that you go with 5GHz only and purchase more range extenders than you think is necessary. This way, the strongest WiFi signal will be going through the house and while you will still experience slower speeds, it will be much better than going with 2.4GHz network and fewer range extenders. Should You Get a WiFi Range Extender? 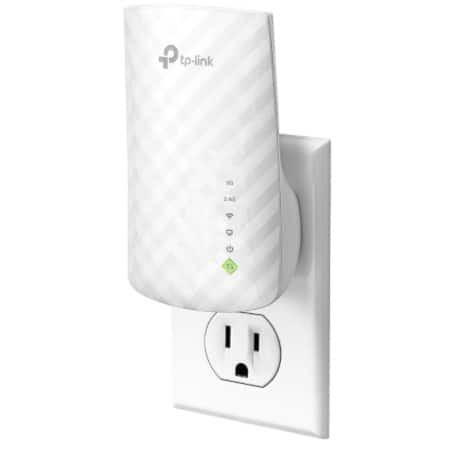 The TP-Link AC750 is a small, but powerful range extender that I usually recommend to my friends when they are in need of one. There are a number of things that you need to consider before you go out and purchase a WiFi extender and avoid the expensive mistakes that I made. The first thing to think about is the position of your wireless router in your home or office. If you are experiencing weak signals in certain places, then try moving your wireless router around to see if this improves the situation. If it does, then you may not need a WiFi extender at all. The next thing to consider is the specification of your wireless router. Is it the latest standard 802.11ac or is it the older standard 802.11n? If your router only supports 802.11n, I would consider buying a new router that supports 802.11ac instead of a range extender, as that could solve the problem itself. If you need a longer range, then an “ac” router won’t help much so a WiFi extender would be a good idea. There is an app available called “WiFi Analyzer” which will assist you with router placement, the best wireless channel to use and more. You can use the app on a PC or a mobile device. You also need to consider whether it is actually signal range that is the problem. If you have a lot of people using your WiFi for different reasons, then there not be enough internet bandwidth to go around. If you do decide to go for a WiFi extender, then check the specifications to ensure that they closely match your wireless router for the best results. You can get the TP-Link AC750 from Amazon and it will support all the modern technologies if you are unsure on which one to get. 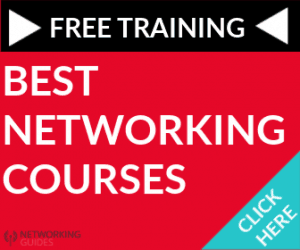 Networkingguides.com is a participant in the Amazon Services LLC Associates Program, an affiliate advertising program designed to provide a means for website owners to earn advertising fees by advertising and linking to Amazon(.com, .co.uk, .ca etc) and any other website that may be affiliated with Amazon Service LLC Associates Program. 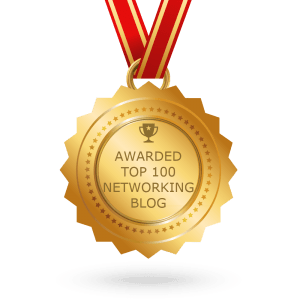 Copyright © 2019 · Networking Guides. All Rights Reserved.